Google Maps for iOS 2.0 is here, and it brings support for the Apple iPad and the Apple iPad mini. In addition, there are some new features that allow the app to play on a level playing field with the Android version. 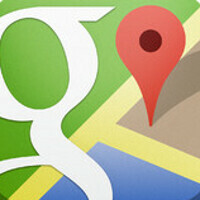 That means that Google Maps for iOS now includes indoor maps and navigation along with the new "Explore" feature. According to Google, this is "a new way to browse and discover popular local places to eat, drink, shop, play and sleep." Similar to a third party app like Yelp, "Explore" on Google Maps will now make recommendations based on location data, and presents a 5-star rating system based on Zagat's popular rankings. In addition, users will be able to enter their own ratings and reviews. Check out the slideshow below to see Google Maps for iOS 2.0, which is a free download from the Apple App Store. "For its competitor's large user base, which Google services thrive on." FTFY. okay this is out for iPad and both my android phone and nexus tablet don't have it. WTF google?